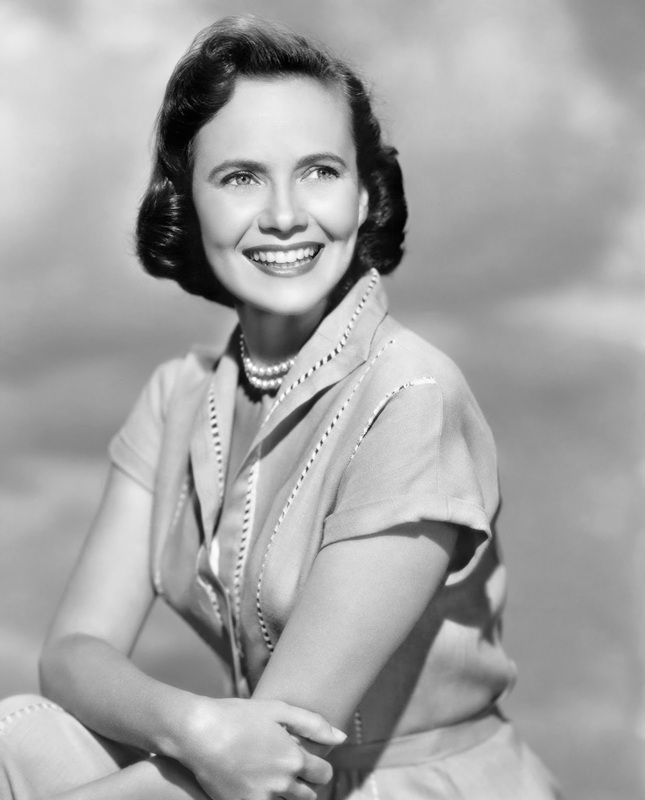 Today's star is the lovely Teresa Wright. 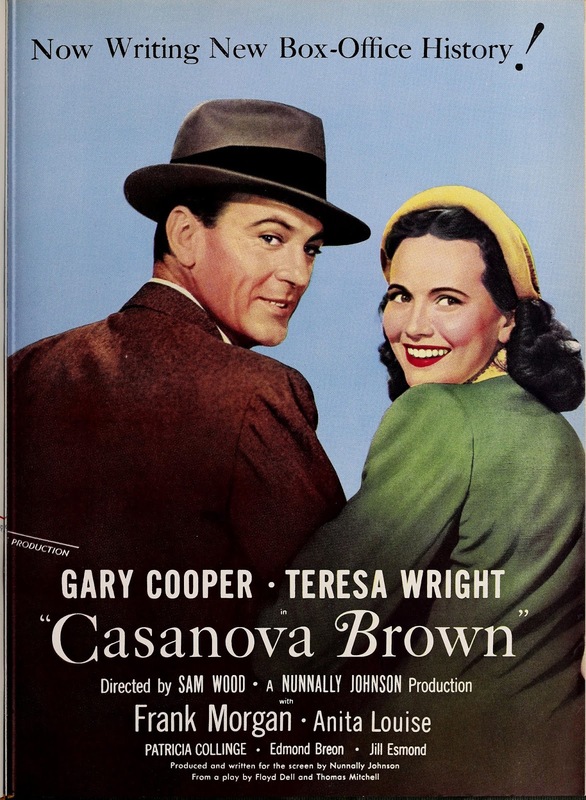 TCM is celebrating the career of Teresa Wright with 12 movies on Aug. 4. Here's what you need to know about one of the best actresses of the 1940's. Born: Oct. 27, 1918, in New York City. Died: March 6, 2005 in New Haven, Conn. She is buried in the Evergreen Cemetery in New Haven. AKA: Wright's birth name was Muriel Teresa, but she dropped her first name when she began her stage career. Academy Awards: Wright won a best supporting actress Oscar for Mrs. Miniver (1942). She was also nominated for best supporting actress for The Little Foxes (1941) and for best actress for The Pride of the Yankees (1942). Brief bio: Wright took an interest in acting at a young age. She studied acting at the Wharf Theater in Provincetown, Mass., and she soon landed on Broadway. Producer Samuel Goldwyn signed her to an exclusive contract after discovering her in the play Life With Father. Wright's first movie role was in the critically acclaimed The Little Foxes (1941) co-starring Bette Davis, and Wright soon became one of the most sought after actresses of the 1940's appearing in classics like in Mrs. Miniver (1942), The Best Years of Our Lives (1946), and Shadow of a Doubt (1943). 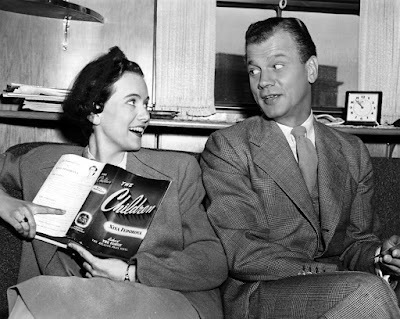 Wright fell out with Goldwyn in 1948 -- she disliked publicity and refused to appear in roles that she thought were sub-standard -- and he cancelled her contract. She turned to television and the stage, but after the 1980's she mostly led a quiet life in New England. She did return to the movies for a part in The Rainmaker (1997) directed by Francis Ford Coppola. Teresa Wright and Joseph Cotten on the set of Shadow of a Doubt (1943). Fun fact: Wright had it written into her contract that she would not pose for fan magazine photographs in a bathing suit. Signature role: Peggy Stephenson in The Best Years of Our Lives (1946). 1. Shadow of a Doubt, airing at 10:15 p.m., is one of my favorite films directed by Alfred Hitchcock, and Wright is sensational as a naive teenager who falls under the spell of her devious uncle. This movie doesn't get revived as often as it should, so this is a great opportunity to catch it. 2. The Best Years of Our Lives, airing at 5 p.m., is simply one of the best films of the 1940's. Director William Wyler sensitively deals with the realities of life on the home front after World War II in a deeply emotional movie that still makes a powerful statement 80 years after the end of the conflict. 3. TCM switched my earlier pick of Casanova Brown, so I'll go with Mrs. Miniver, airing at 2:30 p.m., a great movie about an English family's struggles during World War II. A great film not featured on Summer Under the Stars: Pursued (1947) is a great "adult" Western co-starring Robert Mitchum. Fan magazine flashback: An ad for Casanova Brown featuring Cooper and Wright. Courtesy of the Media History Digital Library. Video: Wright discusses working with Hitchcock in Shadow of a Doubt. My review of Mrs. Miniver. For more Summer Under the Stars articles, go here. There'll be plenty more on Wright on social media. Follow me on Tumblr, Google+ or Pinterest or like us on Facebook. Follow us on Twitter @oldhollywood21.